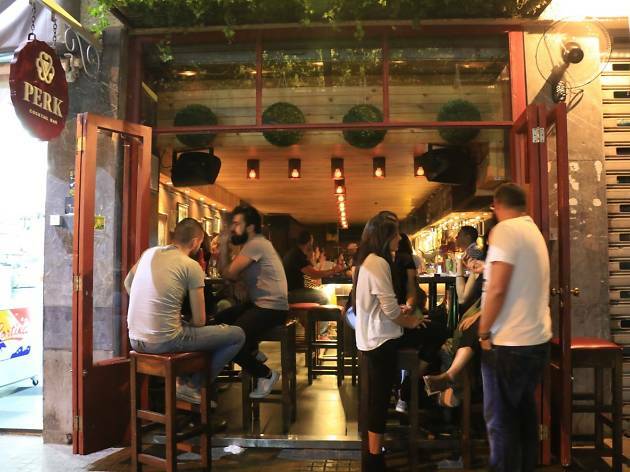 Beer is certainly cheaper and arak offers a shorter path to inebriation, but in this city the cosmopolitan tippler walks no further than the nearest cocktail bar. 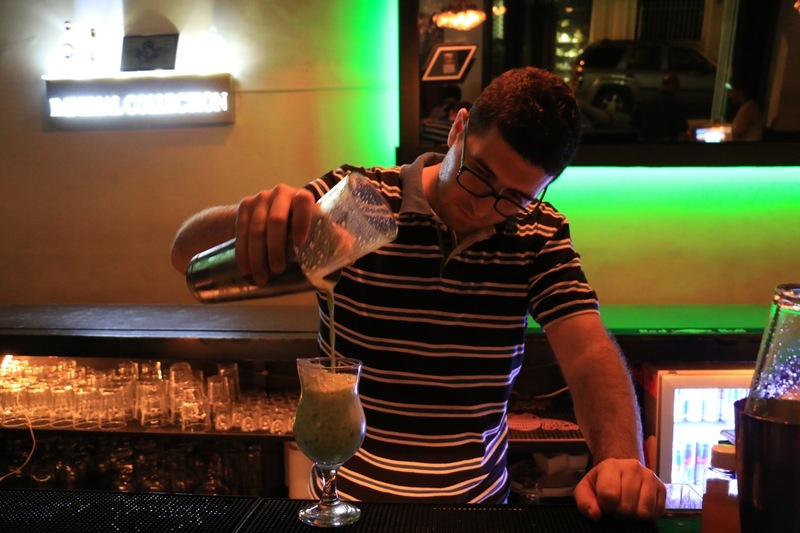 Beirut’s seemingly insatiable thirst for cocktails is no mere fad: for some time now, chic lounge bars have dominated the main drags in nightlife hotspots like Mar Mikhael, serving everything from daiquiris and margaritas to more esoteric potions (an Ernest Hemingway, anyone?). 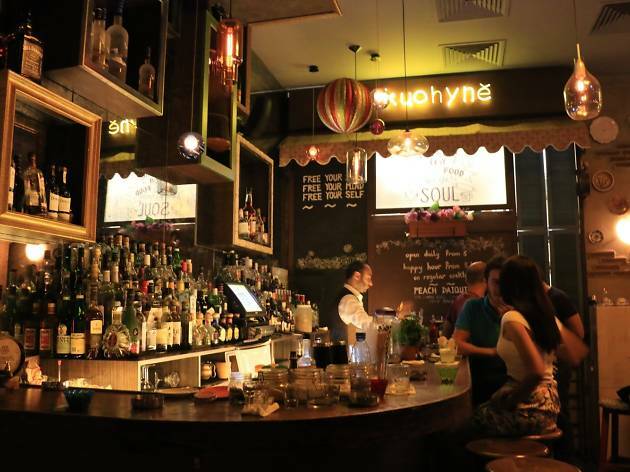 These are ideally sipped to a soundtrack of on-trend electro beats, and most of the bars below double up as DJ venues on weekends – though Y Cocktail Bar goes for a different tack with its unabashedly naff Karaoke Thursdays. Whichever one you end up in, you're guaranteed some fun and fine drinking. 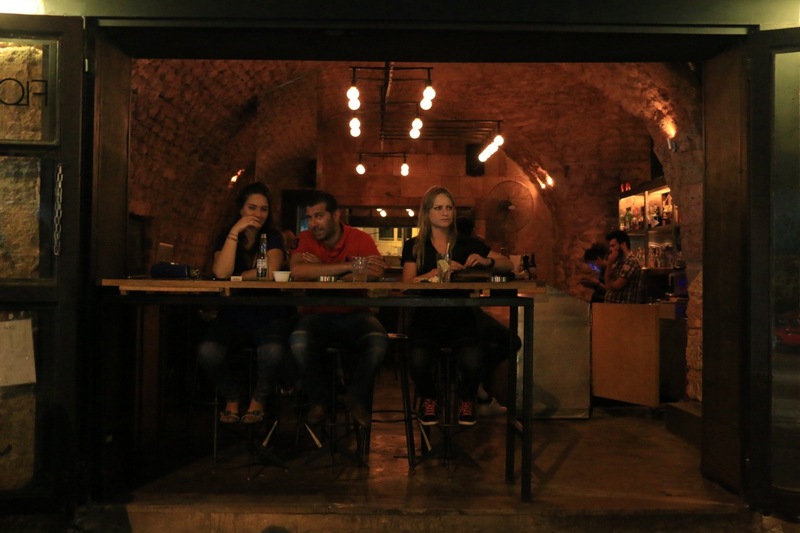 In a part of Beirut where every bar needs a USP to stay afloat, Central Station describes itself, somewhat obliquely, as a ‘boutique bar’. What this seems to mean in practice is a fashionable venue with classy modern designs and some smashing cocktails: somewhere to get gracefully tipsy, not embarrassingly hammered. 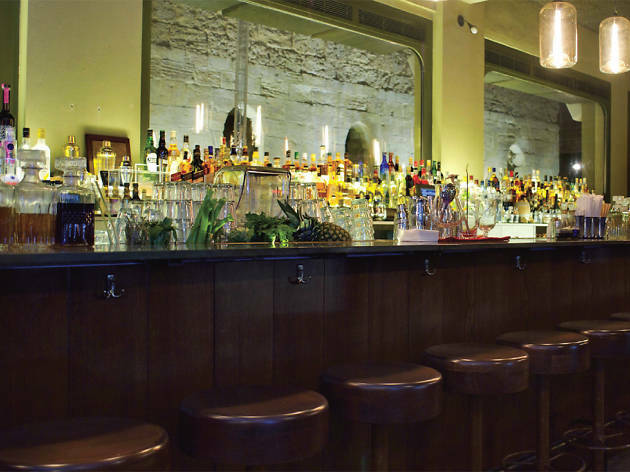 A glistening polished bar runs down the long, thin room, which is framed by iron and glass walls that bring to mind a renovated train carriage. Cocktails are the order of the day; alongside the usual suspects, you’ll also find some more esoteric concoctions courtesy of the bar's globetrotting mixologists. There's also an appropriately posh food menu, which tends toward the sushi and halloumi end of the spectrum – if you're after burgers and beer, you're way off-piste. From the outside, Dragonfly comes on like the apothecary shop in Harry Potter, what with its window display of herbs, spices and other curiosities in jars. 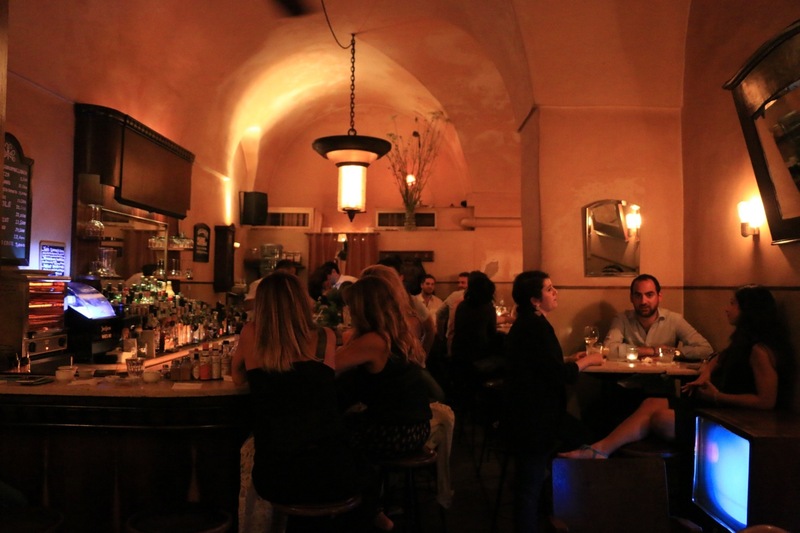 But once you step inside, the bar opens up under an arched ceiling into a moodily lit wine cellar-esque space. The orange washed walls, dark mahogany bar and large mirror channel a retro Iberian vibe; to add to the homey warmth, when it's chilly out the TV behind the bar displays a burning log fire. Their cocktail list is extensive, and the savvy mixologists don’t skimp on quality. Less impressive is the range of bar snacks, which extends to overpriced "Rocket Salads" and less-than-enticing portions of "Ham & Cheese". 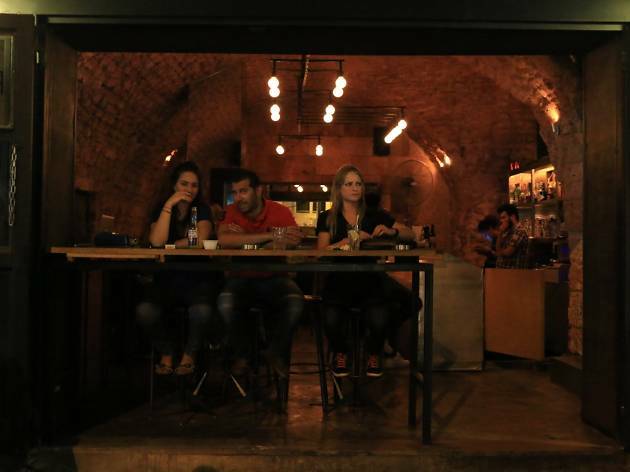 This cosy, dimly lit bar in the backstreets of Gemmayzeh draws a mixed clientele of young and old. 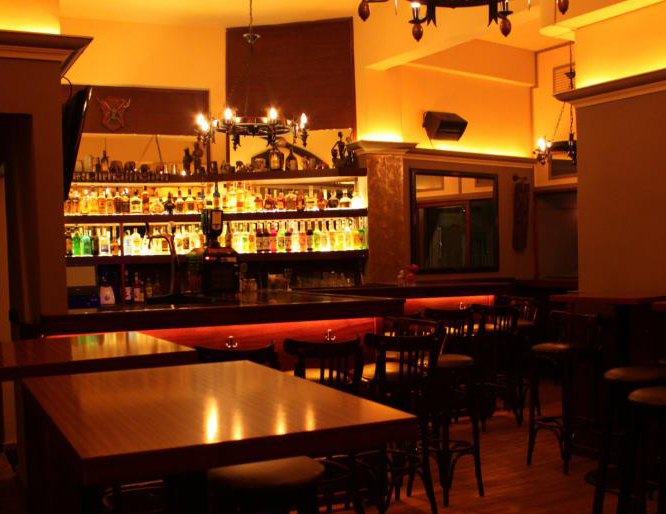 During the weekdays it’s a great place to hangout for a mid-week cocktail, without the threat of pumping music to derange your tipsy confabulations. 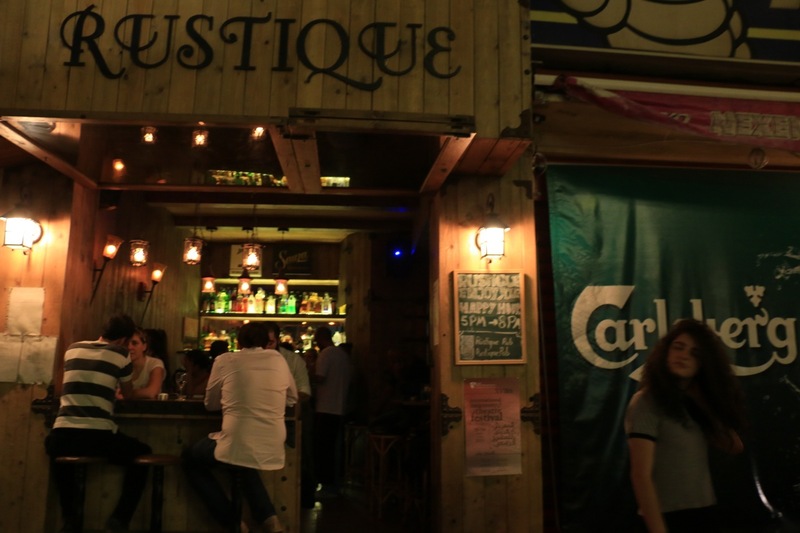 That said, the owners have a working knowledge of eclectic hip hop and dance music, and the carefully curated background music swells on Fridays and Saturdays into a full-on party playlist, with some scope for dancing in the space at the back. 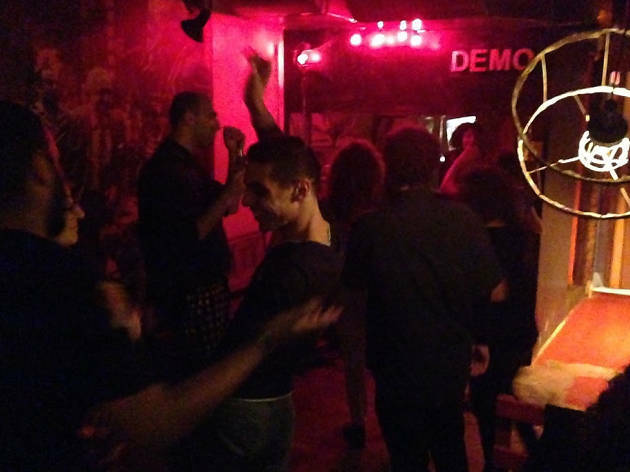 At the weekend Demo reels in more punters than it can handle, and the crowd of revellers routinely overflows outside, carrying the party out onto Lebanon Street. 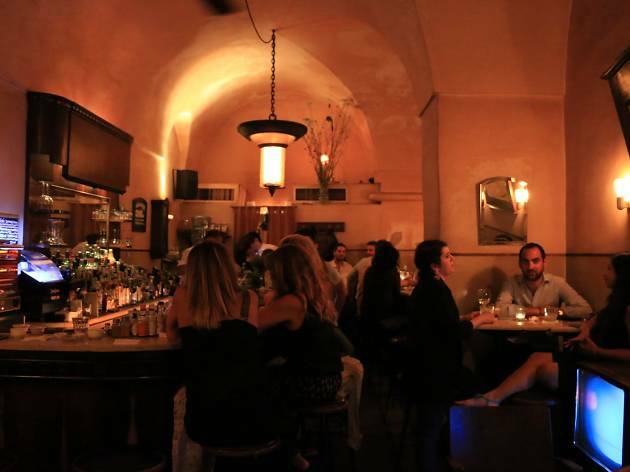 It's a fun, unpretentious place, perfect for a casual night out. Named after a dog that’s named after a boxer – Mr Mayweather himself – Floyd has a well-earned rep for its quirky twists on classic cocktails. Take the Jalapeño Gin and Tonic, which comes with a stick of cucumber as a stirrer and a pinch of spicy chillies to jazz up the usual formula. A rolling lineup of DJs both in-house and guest ensure that the music is as fresh as the libations, and keep it running well into the early hours. If you're lucky, you may actually get to meet the bar's namesake – the dog that is (as far as we know, Mayweather has yet to make an appearance). 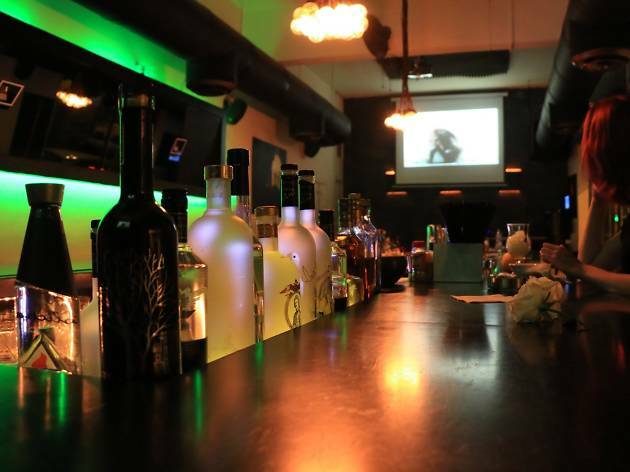 One of the newer cocktail bars to hit Mar Mikhael, Perk is a classy joint with an open front, making it a great place to sip a refreshing concoction on a hot summer evening. 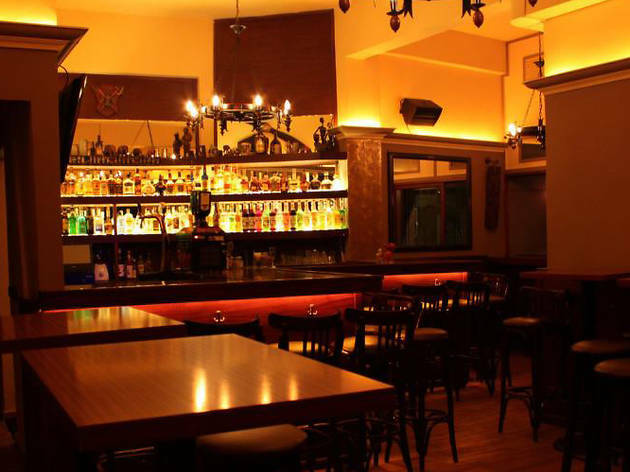 They have an interesting and ever-expanding selection of cocktails, which clock in at a reasonable LL17,000 – not the cheapest watering hole in Beirut, but not the most expensive either. 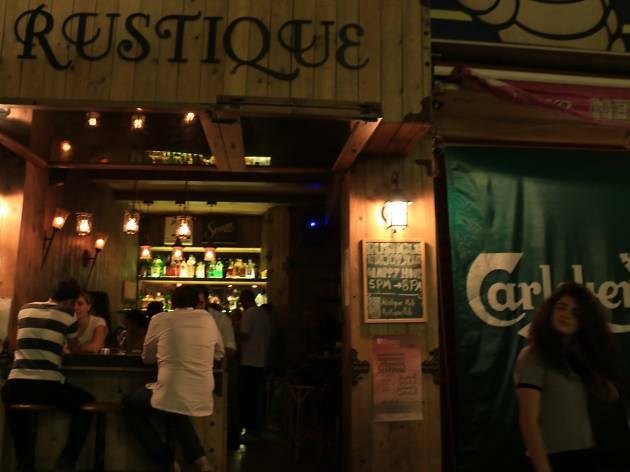 As popular as its dimensions are cosy, the bar tends to fill up quickly with the Instagram-toting clientele, though the overpopulation problem is to some extent alleviated by the outdoor seating. Snacks are available, and the music is loud (though don't expect to find space to dance). This recent addition to Armenia Street's ever-evolving nightlife scene is an ideal drop-in spot for those looking to get tipsy but not too boozy. 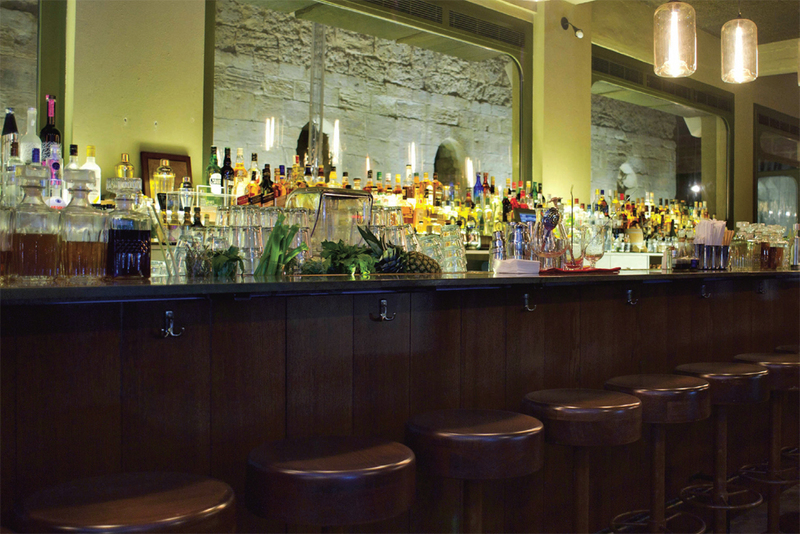 The stripped-down wood-panelled interior decor is reflected in Rustique's artfully minimalist approach to cocktail-making, while local scenesters come to roost on the row of streetside bar stools outside. 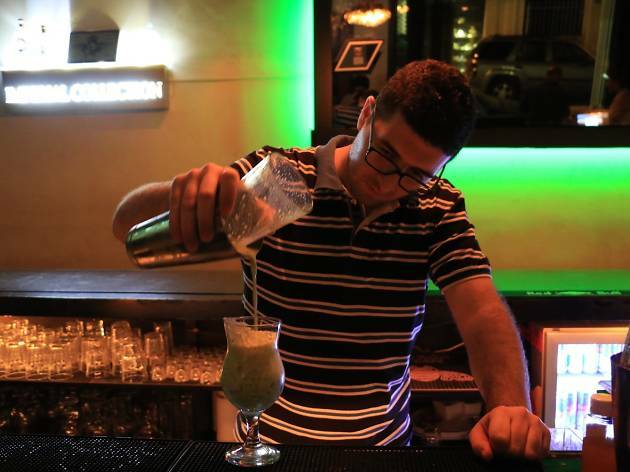 Something of a victim of its own success, the venue swiftly reaches capacity on weekends; sip one of their mixologists' concoctions and you'll understand why. Happy Hour is happens every day from 6pm to 9pm. 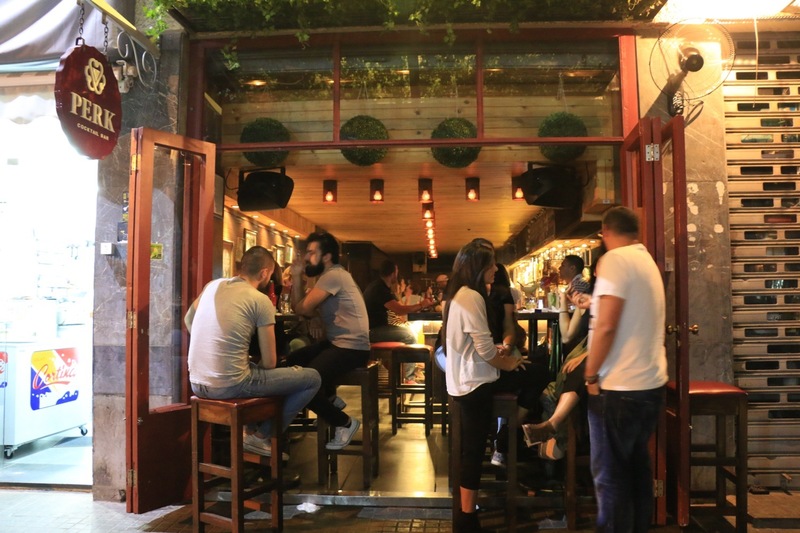 A relatively new addition to the ever-fluctuating Mar Mikhael bar scene, The Bohemian doesn't quite follow up on the implications of its name: it’s a magnet for classy cosmopolitan types thirsting for a cocktail and some lounge music, and who are willing to book ahead for the privilege (essential on weekends). The menu is so extensive that the best course of action is to name your spirit and let the mixologists do the rest – a particularly appealing game during happy hour. Or you can take our word for it and order the sublime Gin Basil. The usual booze-inspired range of salads, burgers and appetisers are available, but the food plays second fiddle to the drinks, and we suggest you line your stomach beforehand. During the winter, the bar is kept nice and toasty by a heater of industrial proportions; but it comes into its own in the summer, when the façade opens out and lets in a cool breeze to match the chilled vibes. The Meister is all things to all revellers. On a weekday evening, it's a casual joint ideal for dropping in with a friend and bitching about your jobs. 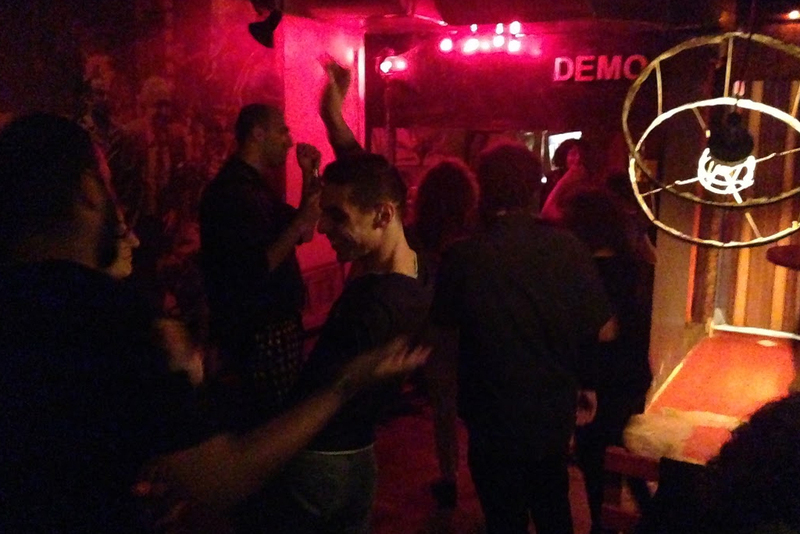 On weekends, it's a vibrant hotspot that draws big groups intent on busting some moves on the dancefloor. And in the small hours, it's an inviting waystation for homebound barflies thirsting for one last tipple. There's no theme, no dress code, no clientele of supercilious fashionistas waiting to judge your getup. You can turn up at The Meister in you favourite Armani top or that old t-shirt with the suspicious stain – no one cares. A night at here is all about fun. Don't let the ‘Urban’ fool you – this isn't one of those faux-gritty hipster-oriented dive bars. 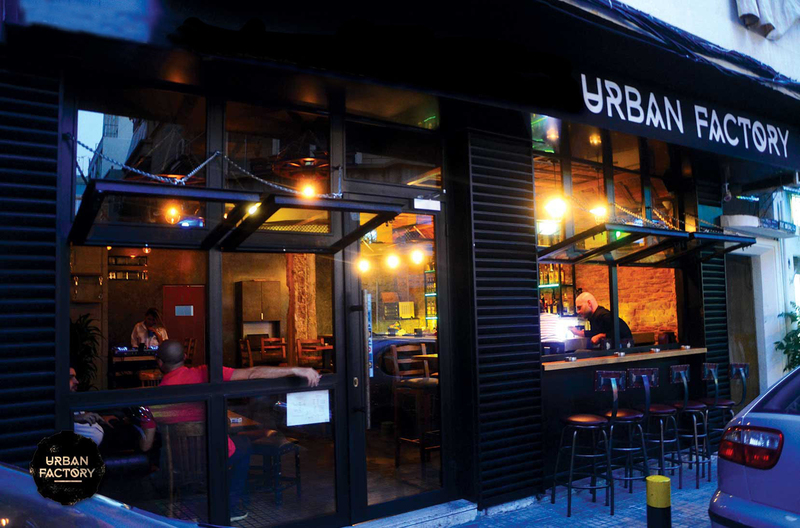 No – this bar is talking ‘Urban’ in the gentrified sense of the word: more MacBook than oily machines and crumbling bricks. So you'd better make sure that white shirt is actually white, and ironed well. 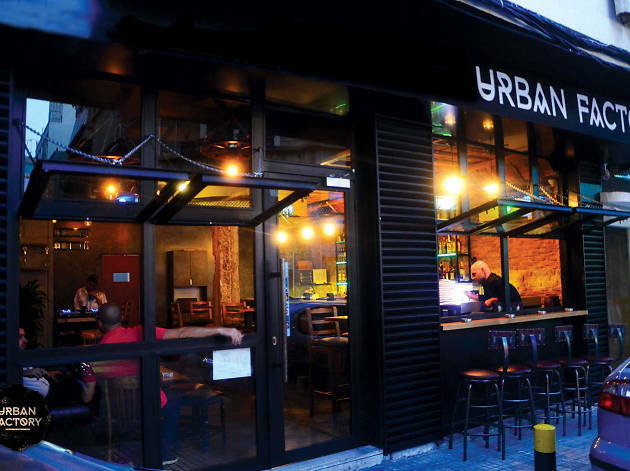 Just off Mar Mikhael's main strip, Urban Factory caters to the young cocktail-drinking crowd – the kind of people who want to let loose, but make sure that they look tight. 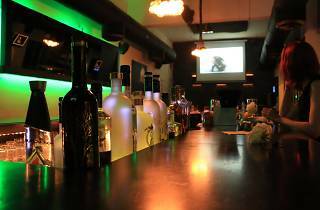 The bar has a wide selection of cocktails, all expertly prepared, and sipped to the accompaniment of on-trend DJ playlists (think house and electro) and the occasional live acoustic set. The dance floor isn’t massive, but it does swell as inhibitions are worn down and chairs are moved to make space. Around Y Cocktail Bar's large elliptical bar sit the suave and the sophisticated of the Gemmayzeh party scene. 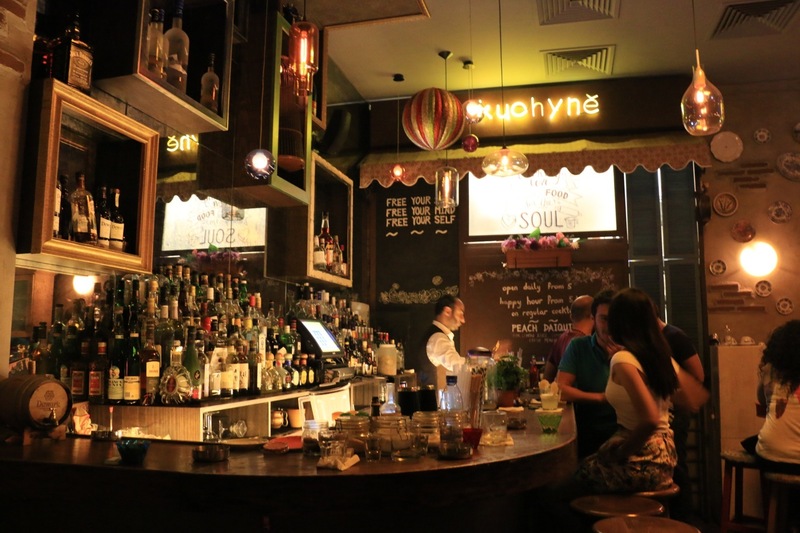 With its coloured mood lighting, marble bar tops and leather stools, the bar pitches itself at the higher end of the neighbourhood's hip nightlife strip: it's somewhere you go to be seen as much as to drink. Which isn't to say that it isn't well-qualified for the latter pursuit: the cocktails here are excellent, varied and surprisingly reasonably priced for the area. On Thursday nights, all pretence at genteel refinement crumbles as the karaoke set is whipped out and those selfsame patrons clamour for a chance to show off their best Rihanna impressions.